Bobby Jack Wright is back on the football field at the place where he began his coaching career in 1973. "I've come full circle," Wright said before heading off to another Edna [Edna, Texas] practice Wednesday afternoon. 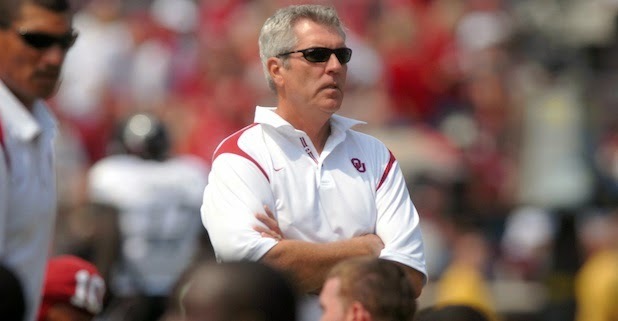 Wright, 65, retired in January from the University of Oklahoma, where he was the first coach hired by Bob Stoops and coached a number of positions for the past 16 seasons. Wright and his wife, Bee, an Edna native, decided to move back to Texas so they could be closer to her parents. "I was playing golf every day," Wright said. "I was really pretty happy being retired."